Here is a list of some of my favorite children's books that inspire creativity, get kids to look at things differently and inspire kids to make stuff. - All about making "mistakes" as an art teacher I love this book. I find what often holds kids and even adults back is the fear of a mistake. This book helps the reader to realize that sometimes a "mistake" can be the best thing. - I LOVE this book. A story of a boy who gives up on drawing because he can't make things look real only to discover that sometime it is okay to just make them real"ish", another great book for those worried about messing up. - from the same author a story about the fear of the white paper and how just starting with a single mark can take you somewhere you never expected. - This classic book is another one about how starting with a simple line or just one color can take you places you never imagined. - Bear finds a box that he thinks will be perfect for mouse but everyone else tells him it is not as great as he thinks. 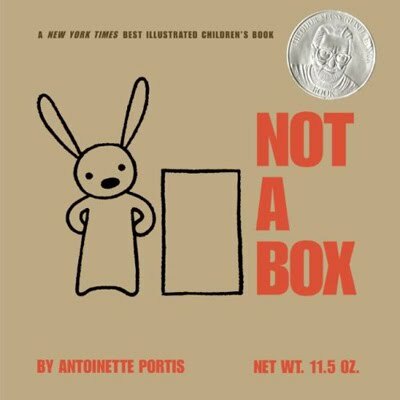 I love this book because it teaches kids to trust their ideas and believe that if they think something is great it is. - Daisy travels the world looking for inspiration for her artwork only to discover that it was right in front of her the whole time. A great book about being inspired by the world around you. - All about working together and accepting other for who they are. The story of a girl in an art class who only draws a "cloud" and the other students in her class. - The story of Little Pea who absolutely does not want to eat his candy for dinner. A cute story that gets kids to look at things in a different way. 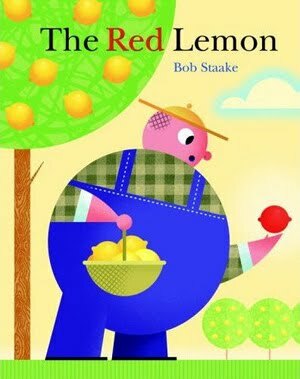 - A farmer who grows the most perfect yellow lemons is horrified to find a red lemon. A great story about being different and how everyone sees things differently. - A book all about taking an everyday object like a box and imagining what else it could be. A perfect book for little ones who do this all the time already. These are a few of my current favorites, I will add more as soon. Does anyone else have a favorite book that inspires creativity? Thanks Julia! We have never read that one but I will most definitely check it out. If you think of any other good ones let me know!